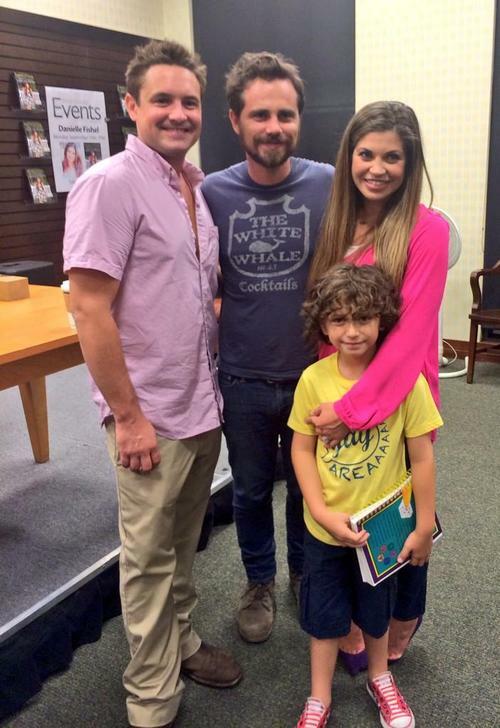 Will Friedle with Danielle Fishel, Rider Strong and August Maturo. . HD Wallpaper and background images in the Will Friedle club tagged: photo boy meets world will friedle danielle fishel rider strong august maturo. This Will Friedle photo might contain sign, poster, text, chalkboard, street, city scene, urban setting, and carriageway.